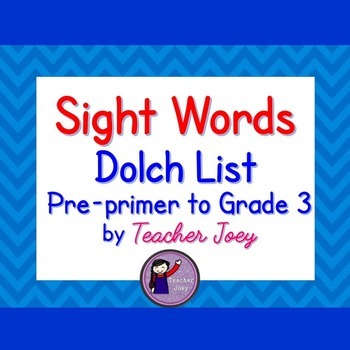 These are sight word cards from the Dolch List from Pre-primer level to Grade Three . 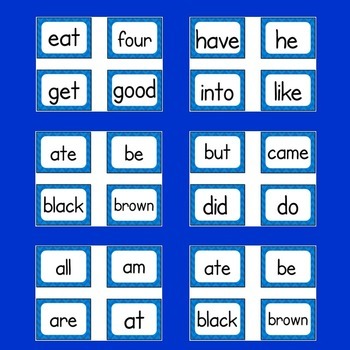 These can be used as flash cards, assessment cards or word wall cards. 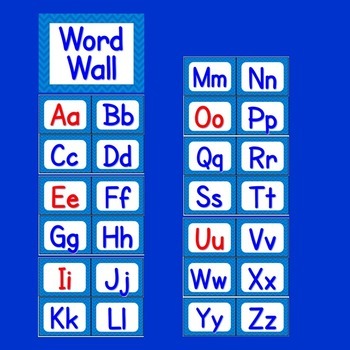 Alphabet Word Wall Headers and a ppt file of templates (blue and red chevron) are also included. Please hit the FOLLOW BUTTON to receive updates and freebies!